My name is Yvie, and I am 10 years old. My favorite flavor of ice cream is mint chocolate chip. I read Harry Potter and the Deathly Hallows. 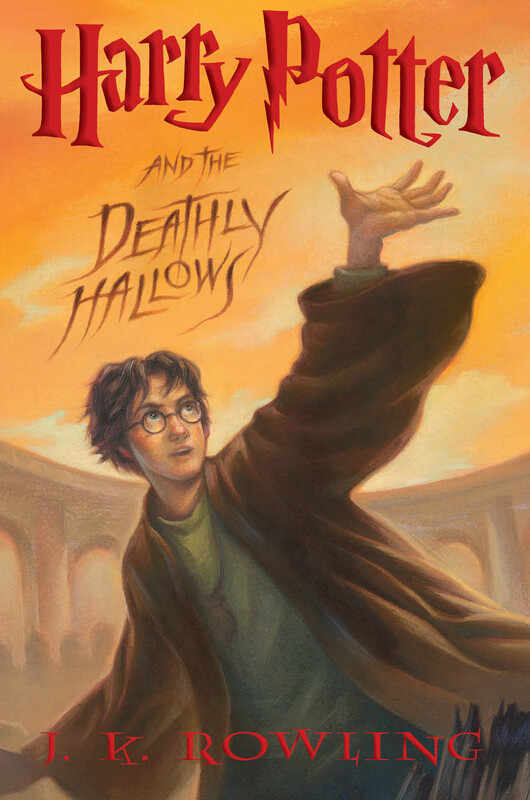 I chose this book because out of the whole Harry Potter series, this one was my favorite! My favorite part of this book is when Harry Potter, Ron Weasly, and Hermione Granger are at the Lovegood's house. When I read this part, I knew that something was building up inside of the story. In fact, the whole book was like that! If I had Harry's problem with the missing horcruxes, I would try my best to find them. Though without Dumbledore, I'm not sure I'd be able to do what Harry and his friends did without the man who told me to do so. I would say: "This book has the description of a movie and the action of a true adventure!" The cover shows how much the book has a jolt of excitement and a mysterious way to surprise you on what would happen next. I would love to read another book about these characters, and I am so glad that there is a new Harry Potter book coming out this year! Another book that reminds me of this one is Alistar Grim's Odditorium by Gregory Funaro. I would ask: "How did you come up with the idea of horcruxes?" We can't find an interview where J.K. Rowling answers a question about where she got the idea for horcruxes, but did you know that it is one of the many words that she invented for this series? See a list of some of the now-famous words here.